I’ve put it off for far too long. I can’t ignore it any longer. March is National Colorectal Cancer Awareness Month and I’ve made a commitment to undergo a colonoscopy. Yes, I say “commitment” because I’ve been putting it off for a few years now. Even though I have far too much at risk. My niece died of colon cancer at the age of 42, leaving behind a husband, four kids and a bright future. My paternal grandmother also succumbed to the disease. My father was diagnosed at one point in his life, had surgery to remove a portion of his colon and, thankfully, survived. Lung cancer took his life years later. Among cancers that affect both men and women, colorectal cancer is the second leading cause of cancer deaths in the United States. Colon cancer is preventable, treatable, and beatable, especially if detected in its early stages. It can be prevented by finding and removing polyps before they become cancerous. Begin screening at age 50, and before, if there is a strong family history of risk factors. 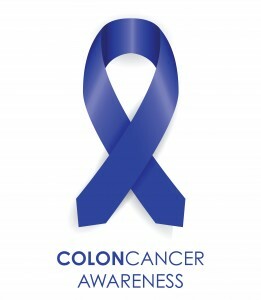 In February 2000, President Clinton officially dedicated March as National Colon Cancer Awareness Month. Since then, it has grown to be a rallying point for the colon cancer community when patients, survivors, caregivers and advocates throughout the country join together to spread colon cancer awareness by wearing blue, holding fundraisers and education events, and talking to friends and family about screening and so much more. Given my family history, I can’t delay a colon screening any longer. For myself and my family.